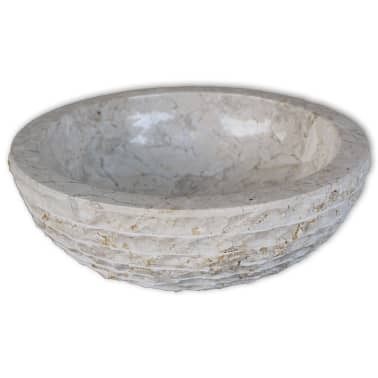 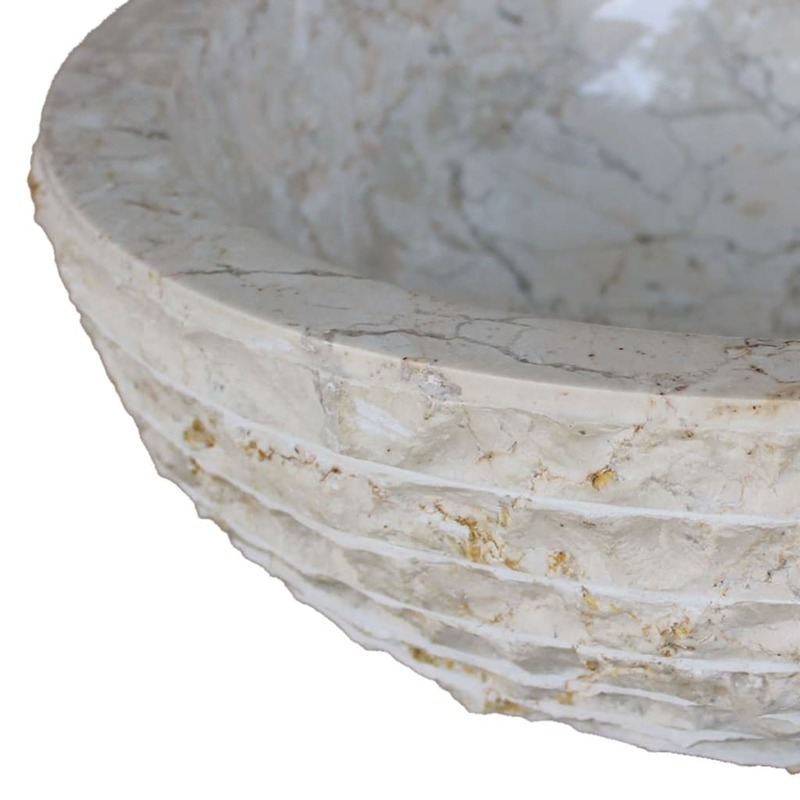 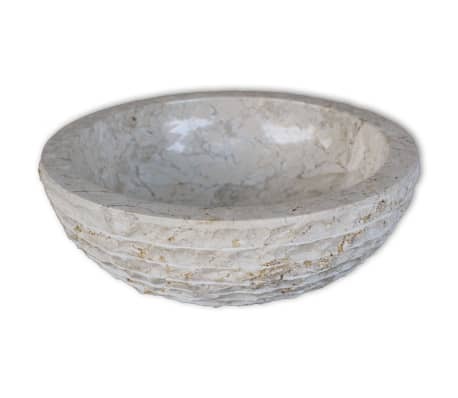 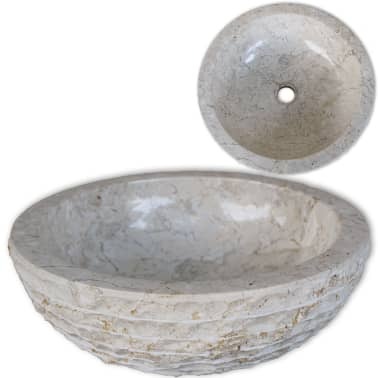 This round wash basin, made of natural marble, will make a stylish addition to any bathroom or washroom. This artistic basin is not only a practical sink for everyday use, but also an adornment for your living space. 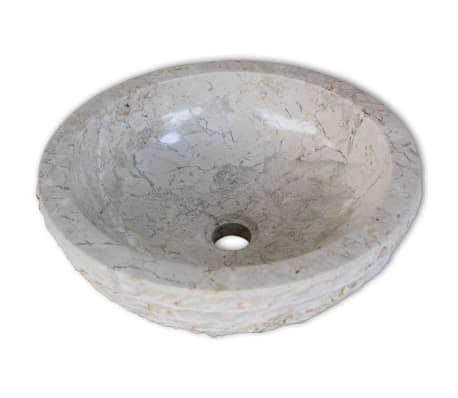 The roughly shaped outer surface, with an incorporated decorative stripe pattern, adds a rustic touch to the wash basin. 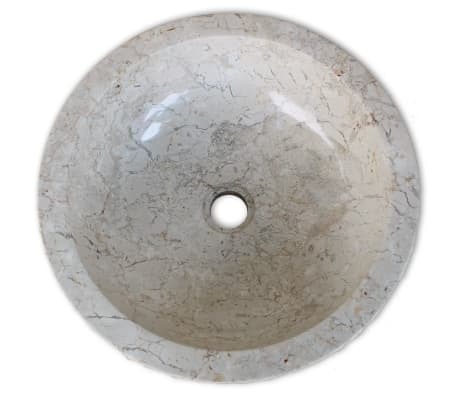 On the other hand, the round shape of the basin makes it seem elegant and soft. 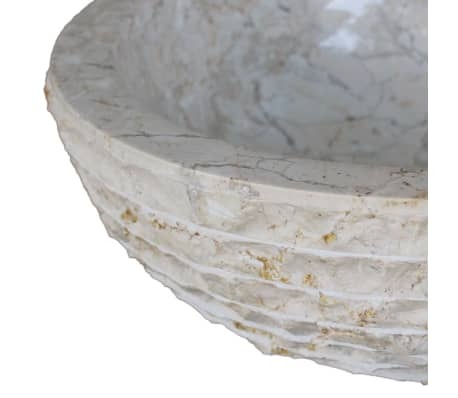 The striking counterbalance of the rough yet elegant exterior surface makes this basin unique and artistic. 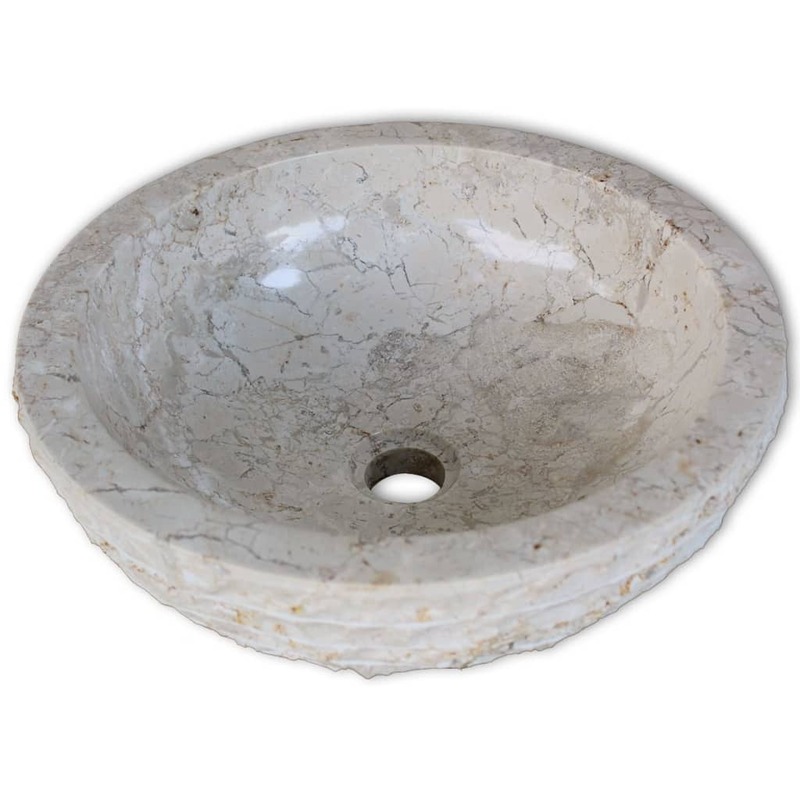 The inner surface is smoothly polished, making cleaning really easy. 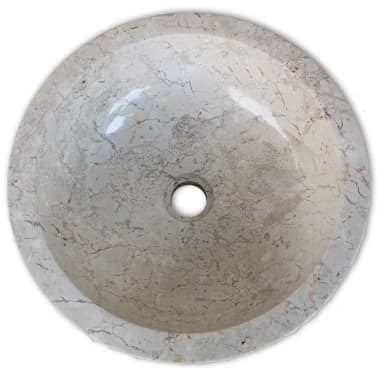 The drain hole is 1.6" in diameter. 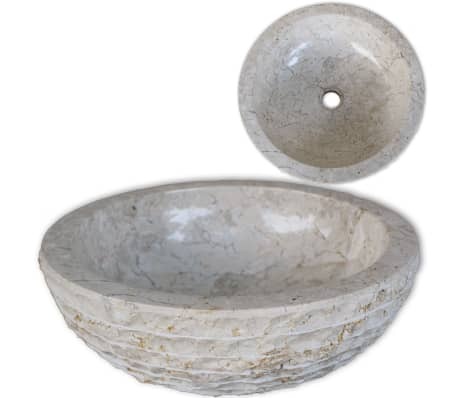 Please note that no drain is included in the delivery.